With such an excellent, comfortable, modern hotel, we woke up barely able to get out of bed. But hubb was keen to get breakfast so we washed up and got ready. The cafe is on the 2nd floor of the hotel and after 2 days of world’s worst breakfast, we finally get to eat our hotel breakfast buffet. Although not as good as some other hotels that we’ve been to, they had a good selection of Western and Asian food. But i must say that the chefs did not know how to prepare my soft boiled eggs. It came out raw. Grr. Small matter lah. As we sat by the full length windows overlooking the city, we noticed how the traffic was already heavy so early in the morning, by early I meant like 9am or so. There is absolutely no law and no traffic system. They go by first come first served… or rather, first to move gets right of way. They hardly signal. They ignore the traffic lights. They swerve and cut lanes, they horn multiple times and no one got mad. Except me! And dont get me started on the social divide amongst the people. With me in the hotel cafe were wealthy Chinese Indonesians who speak Bahasa, Hokkien and English in a single sentence. They leisurely talk business over breakfast. While out in the streets, purebred and pure blood Indonesians eat breakfast squatting by the dusty dirty street, gobbling down whatever they can before they move on to the next destination. After breakfast, we went up to our room to pack up and just laze around. Being up on the 21st floor and in the comfort of our cool air conditioned room is way better than being stuck in traffic downstairs. Anyway, Ramses and Torang were late to fetch us. They arrived an hour after we checked out. Traffic was unbelievable, they said. 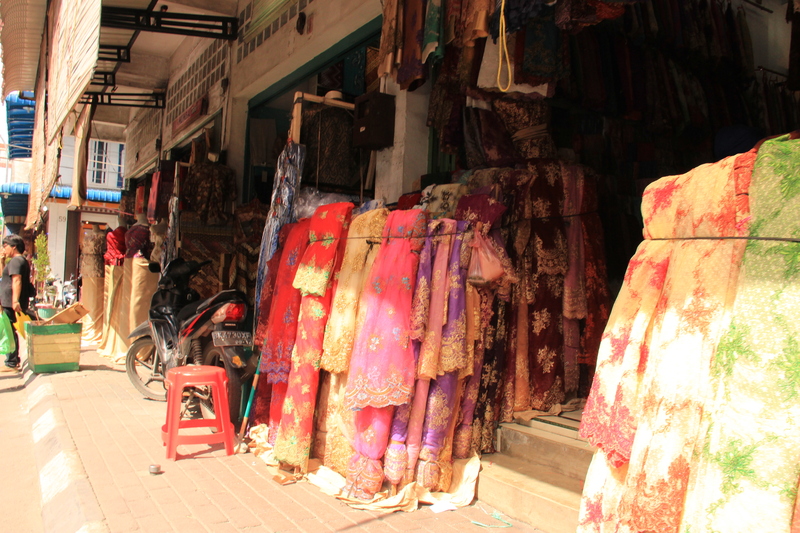 So, I didnt get to go to the Dian Pelangi boutique after all. 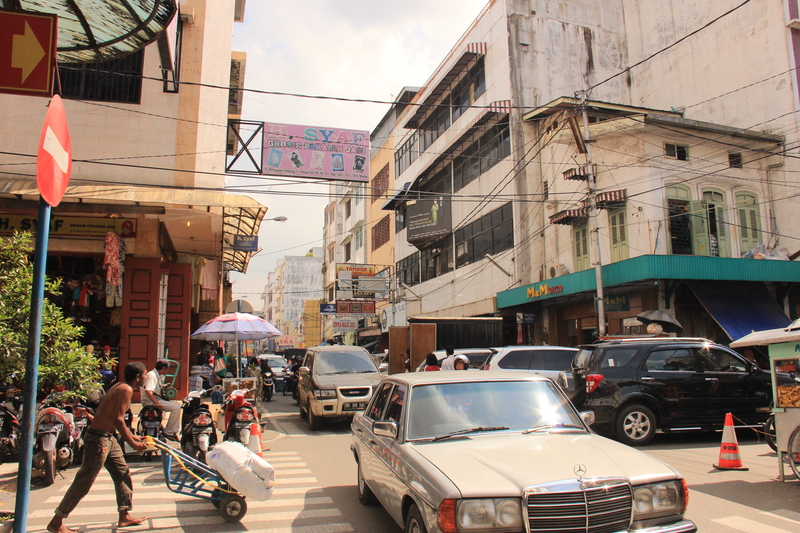 We drove straight to Pasar Ikan (which means fish market) that didnt actually sell fish. 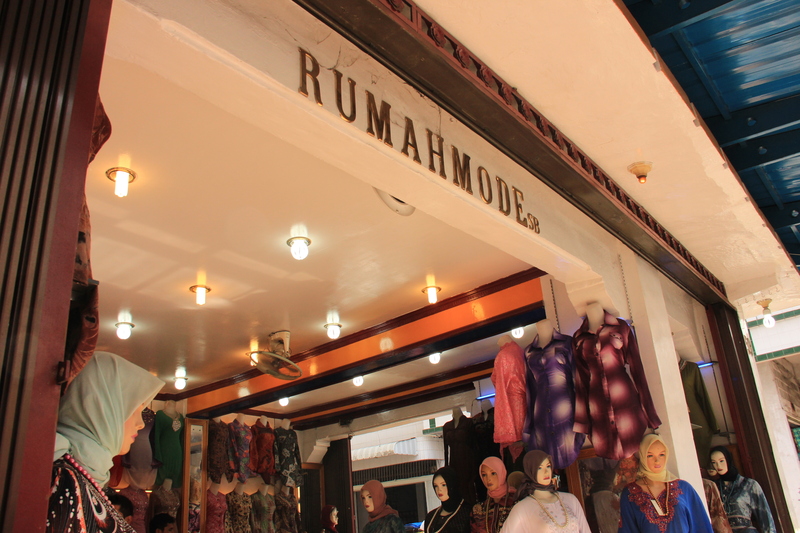 Its a place where you can get cheap good-quality fabric, modest clothings, souvenirs etc. 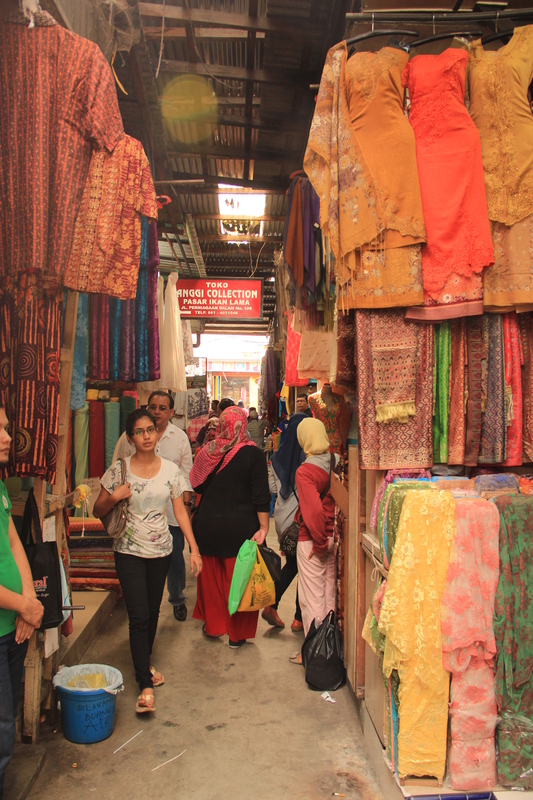 Its their version of Arab Street in Spore. Only dirtier, messier, hotter and more crowded! I hardly broke out into a sweat on Samosir Island. Here, I was perspiring buckets. Everything made me dizzy and uncomfortable and i had to beg the husband to leave. After 2hrs just getting out, we arrived at Ayam Penyet Cindelaras, 15mins away from Kuala Namu International Airport. They have a musollah attached so we could perform prayers. The food was the best I’ve eaten throughout the entire trip. HIGHLY RECOMMENDED. And thats how we ended our short getaway. With heavy hearts, we parted ways at the airport. I even sent a short goodbye message to Ridu via mobile. They are good men and I hope their business really takes off in the near future. We are so planning a longer trip to Samosir Island soon. Forget Berastagi and Medan. Maybe go up to Bukit Lawang and see the orang utans. Or a hike up in the mountain volcanoes of Sibayak and Sinabong. But the latter has been spewing volcanic ash and lava a couple of months now. 😦 Maybe a trip further up north to Aceh. Sumatra is so large and so near to Spore. It’ll be a waste not to explore it and all of its natural beauty much lost in Spore. Where all you see are buildings and skyscrapers and man-made everything.